Manchester United will stand by Jose Mourinho for now as the beleaguered manager battles to save his job at Old Trafford. Reports claimed that Mourinho would be axed this weekend whatever the result of Saturday's game at home to Newcastle. But senior sources at the club strongly deny this is the case and will give Mourinho more time to turn his team's fortunes around following United's worst start to a season in 29 years. Sportsmail revealed that even Mourinho's own backroom team are preparing for the worst and handing out their private numbers to other members of staff in case they lose their jobs - and club mobile phones - at any moment. 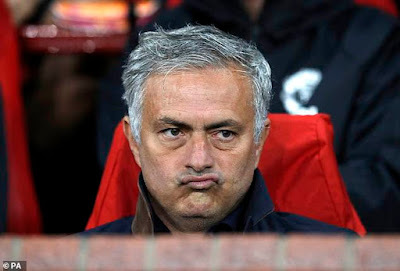 The 55-year-old coach has lost the support of the majority of his squad and publicly questioned their commitment to the cause before Tuesday's Champions League draw with Valencia meant United have not won at home in four games ahead of Newcastle's visit. The club have not gone five games without a victory at Old Trafford since Sir Alex Ferguson was fighting to save his job in December 1989. Doubts over Mourinho’s future grew on Friday after he called an unusually early 8am press conference and let the players stay at home instead of reporting to The Lowry Hotel amid speculation he and his agent Jorge Mendes were meeting United chief Ed Woodward. However, it now appears as though Mourinho will survive until after the international break despite a sense around the club of it being a matter of when - not if - he goes. Former United favourite Gary Neville responded to the reports that Mourinho would be sacked imminently by accusing his old club of being 'rotten to the core' and the Old Trafford hierarchy of 'playing Championship Manager with the biggest club in the world'. 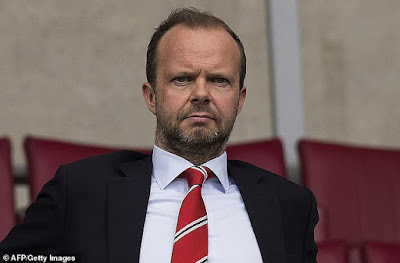 'If this is true and Jose Mourinho is going to walk out to Old Trafford as almost a dead man walking, those fans will absolutely turn towards that boardroom. It's an absolute disgrace,' said Neville. 'I have to say Jose Mourinho will get the biggest support in his life inside that ground tomorrow. I'll be there to give it him! 'The dressing-room is leading what is happening. The tail is wagging the dog at the football club. Get some control back. Get some leadership. For me, at this moment in time, I am furious. 'Something has to change and it isn't the manager - it's above that.